Here is the truth: there are no Jobs in Telecom sector for fresh graduates with no references. You don’t need a hi-fi GPA or anything to grab a job. All you need is a good healthy reference or you will end up finding it hard to get even the unpaid internship. Pathetic?? Yes it is. And sorry for being too blunt, but that’s the real ground situation, which I am sharing with you only after experiencing it. If there are no Jobs (for fresh grads without any reference) then how to survive in Telecom market? How to get the job after all? Before I tell you that, let’s go through some useful information regarding telecom sector which wasn’t shared with us before we started our job hunt. Telecom sector is divided into three categories. Just to let you know, some operators use services of more than one vendor to keep their networking running. Vendors hire sub-cons to do majority of tasks, such as right now Huawei is installing Microwave Links on Zong sites and they have hired Netkom, EESPAK and Tier-4 for this project. Similarly a vendor hires a sub-con for other specific projects, such as fueling the sites, operations & maintenance of sites, any equipment installation on sites, Microwave surveys, etc. Operators and vendors pay well as compared to the sub-cons. 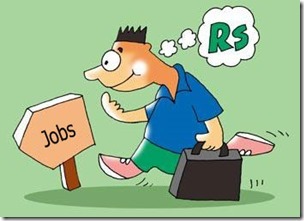 Most of the sub-cons do not pay their employees on monthly basis; they hire an Engineer for Rs. 10,000 per month or maybe even less than that and they pay salaries after 3-4 months. By this, I don’t mean that all sub-cons are bad – but they largely delay salaries. Now let’s come back to the real question again: How to find a Job? If you have strong references then you can get Job easily – in such a case (when you gave got a healthy reference) you must try landing into an operator, or vendor at least. In other case, if you don’t know any big gun then stop dreaming. Try to be realistic and start your career with a sub-con. Get some experience from there, build good relations and then apply in Vendor/Operator. Finding a Job in a sub-con would be relatively easy. Visit all the sub-cons personally and drop your CV there. Keep following them up and don’t loose hope. Follow up is really important, keep visiting them again and again until they offer you a job. Join a sub-con with a learning attitude and not for earning money, because 10K-20K isn’t the kind of money that a Engineer deserves. Learn every possible thing that you can. Stay in touch with your seniors, they can be helpful in upcoming days. The key point to survive in telecom is reference, make them hard and strong because in telecom industry jobs are not advertised on career portals, instead they are shouted out to friends and colleagues through e-mails. If you are already doing an unpaid internship or job, don’t quit it even if you are not satisfied or even if they are not paying you. Keep doing this job to get the professional experience and the day will come when you will be rewarded for your struggle. This entry was posted in jobs, Uncategorized and tagged apple, fresh graduates, handsome salary, microwave links, technology, telecom, telecom engineers, universities. Pretty component of content. I simply stumbled upon your weblog and in accession capital to claim that I acquire actually loved account your weblog posts. Any way I’ll be subscribing on your feeds or even I fulfillment you get right of entry to consistently quickly.